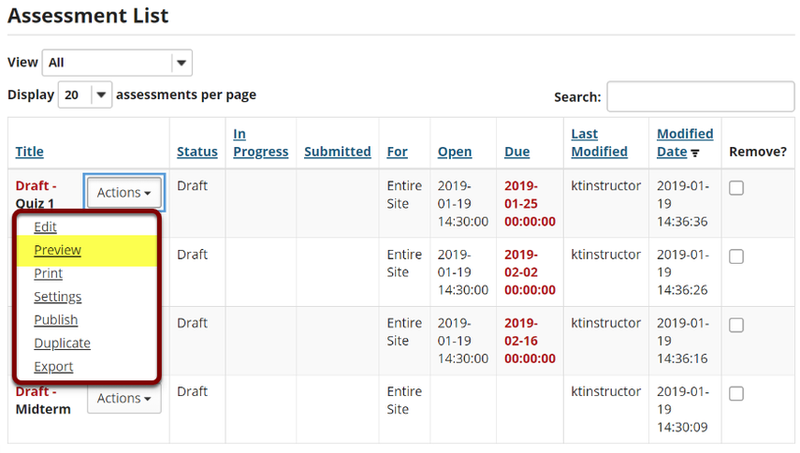 Sakai Community DocumentationSakai 19 User Guide (English) Tests and QuizzesHow do I preview an assessment (i.e. test or quiz)? Note: The Preview option is available for both draft and published assessments. 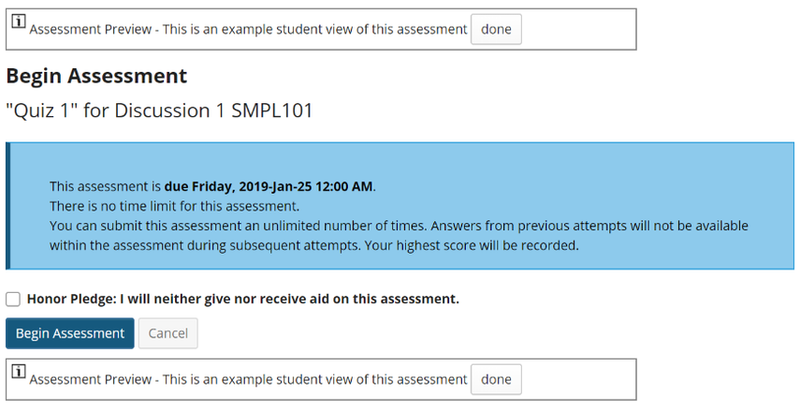 Note: The assessment preview will be identified with the following text: "Assessment Preview - This is an example student view of this assessment." Note: View Site As Student will only display published assessments that are viewable by students in the entire site. Tip: If you'd like to be able to grade your own submission to the test as an instructor, you'll need to submit the test after logging in with a fake "demo student" account. Often, instructors will enroll a fake "demo student" account in the site so that they can log in as that user to submit items and practice grading them.